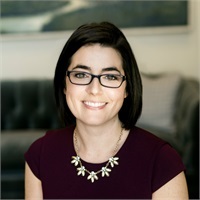 As the Director of Financial Planning Services, Melissa’s goal is to help our clients connect their money to their lives. She works with clients and their team of professionals to create a framework that aligns their financial plan with their life goals. Melissa earned her Business Administration degree from Queens University of Charlotte and is a CERTIFIED FINANCIAL PLANNERTM. Melissa is also a member of the Financial Planning Association. When she’s not in the office, she enjoys spending time with her husband, Jim, and their dog, Annie. Melissa enjoys volunteering for several non-profit organizations including Harmony Family Center, and loves to travel and be outdoors.